What's up everyone its been a while since we chatted and got stylish together haha. Miami was great and opened my eyes to a lot! Relax grab a drink and enjoy Miami through my outfit grids, food, and fun. Coming from Texas to Miami the weather really isn't that different but I thought for some reason to to wear a bomber jacket haha. Which I stripped off as soon as I touched down. For those that know me I love pasta so it was only right to grab a bite at one of the coziest places on South Beach, The Tavern. 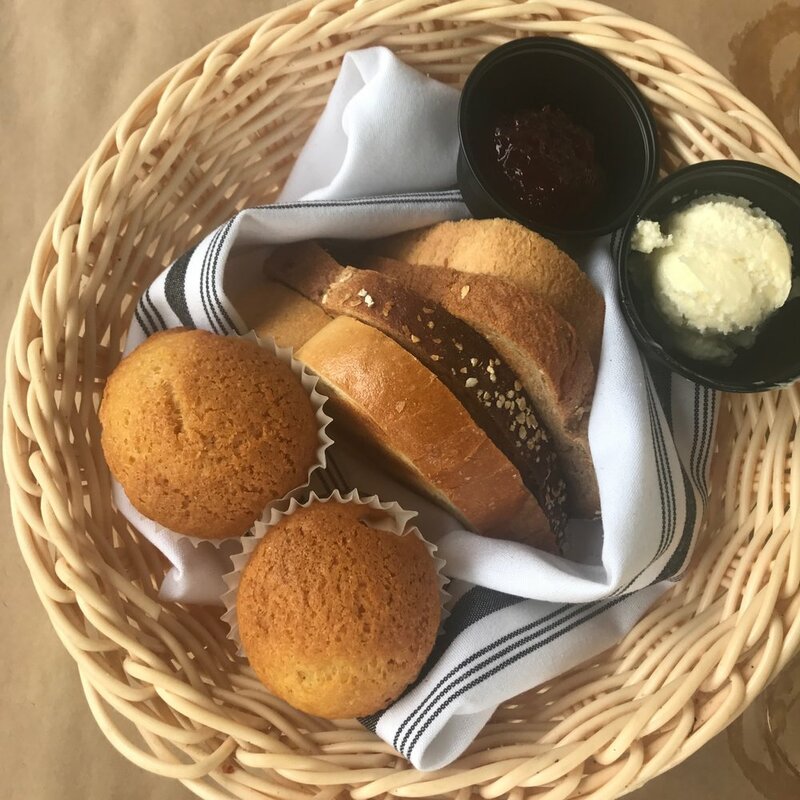 Check out the delicious food, and drinks me and my friends devoured! I some how got stuck with the bill haha. 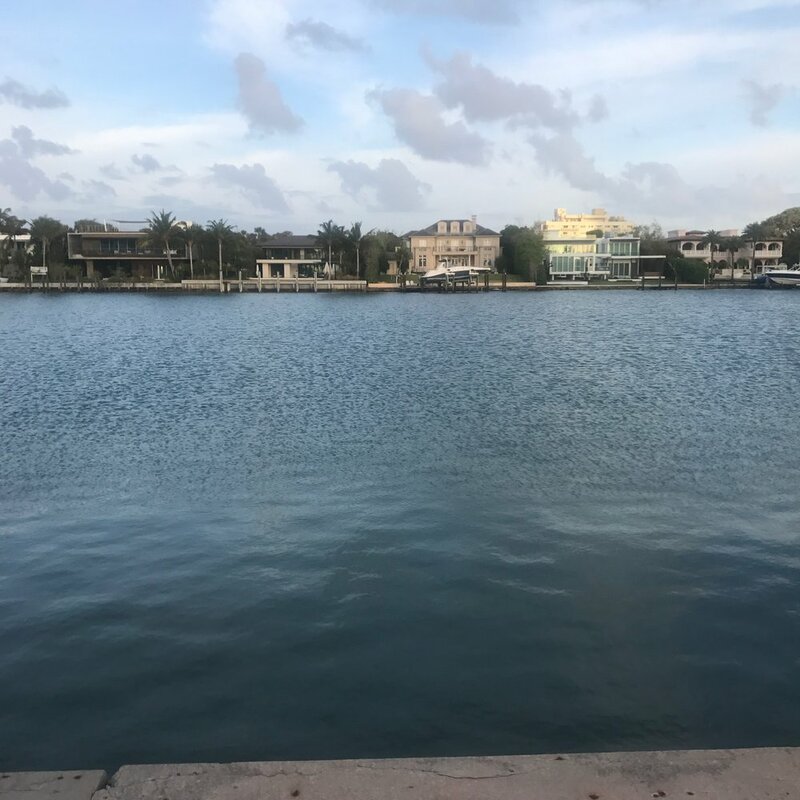 Of course I had to get my daily run in down the beautiful Miami Beach and clear my mind to get the day started check out some of the scenic views I saw on my 5 Mile run. Concluding my run I had to get a great breakfast in and decided to get something you guys may be familiar with. A little Steak and Egg Benedict for the win. After we hit the town in search of some south beach vibes for the shoot for Premiere Productions. Check out some shots from that shoot, the Miami vibes were in full effect! Killed that shoot and enjoyed the rest of the day chilling on the beach, jamming out to some dope tunes. Of course some drinks were involved. Whats Miami with out a little fun ;). Fun fact I didn't use sunscreen on my bald head the whole trip the bandana tan line was real! I got my day started pretty early around 7am. I managed to get my to friends up and run 2 miles with me. Let it be known it's still till this day unknown if they "actually" ran 2 miles but I document my runs so there is no grey areas haha. We shot for two brands on this beautiful day. I wanted more of a lifestyle feel that I wanted to achieve with Paradise Playground and Enlighten Mystical Minds. So we decided to shoot as we did our daily activities. We stopped in at Kith Miami to check out some dope sneakers and apparel and got some good eats as usual. Check out my day through this small gallery. The last day was rather chill and eventful. Of course I saved the best fit for last. Featuring some of my favorite designers Devaun Robinson , Kenneth Udoh, and Jerry Lorenzo. I got to link up with one of my Instagram bros King better known as @Publicloyalty. He gave me some insight on what he does and his company @Nowinfluencing. Funny how things worked out he had a hotel near by that had some dope vibes so we decided to check it out and ended up getting some killer shots there. The night life consisted of a lot of vodka waters and Miami super over priced clubs trying to charge $60 for entry. The night concluded with my travel buddy Linnea Snow walking in the Air bnb with a random loaf of bread haha. Super glad I met her and was able to make this trip happen with her and my photographer Draven, better know as @Dravensview the Heart breaker. It was he's first plane trip and ended up booking some work out there as well. This trip one for the books. Blessed to be able to travel and experience life. Check out my last day. Don't get caught up in the "HYPE"